Chances are you’ve had a cavity in your lifetime, so you know that, if left untreated, they can sometimes be painful and can cause a great deal of discomfort. Cavities are caused by excess plaque on the enamel that protects your teeth. The plaque combines with the sugar that we eat to form an acid which erodes the enamel, and a hole is created exposing your tooth to harm. A crown is required if there is a significant amount of decay or if the tooth already has multiple fillings, or has a large fracture. After the existing tooth structure is reduced to remove any decay and to provide the best support structure, a crown will be placed on the tooth. The crown will completely encapsulate the tooth and protect it from further decay. 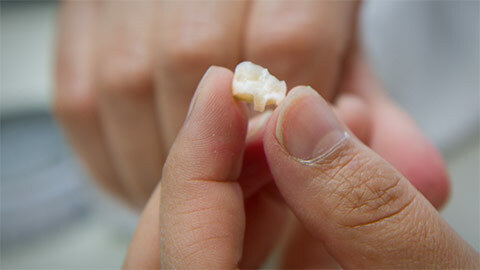 We can provide you with white porcelain fused to metal or all porcelain crowns, or we can provide you with gold crowns. When tooth structure is at risk, an inlay is added to the spaces in between the cusps. An inlay is custom made in a lab for your specific restoration need and may require two visits. If the tooth is beyond repair, we may recommend removing the tooth completely and inserting a bridge. With a fixed bridge, teeth on either side of the gap are prepared as crowns so that they can support a replacement artificial tooth, which is cemented to them. 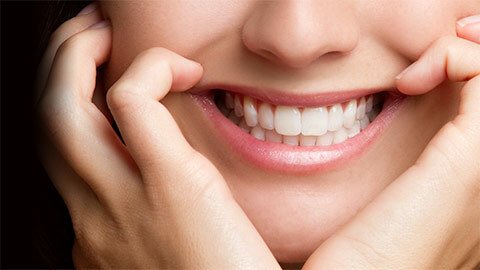 Replacement of teeth can also be done by means of dental implants or dentures. We will determine which restorative measure is best suited to solve your dental problem.